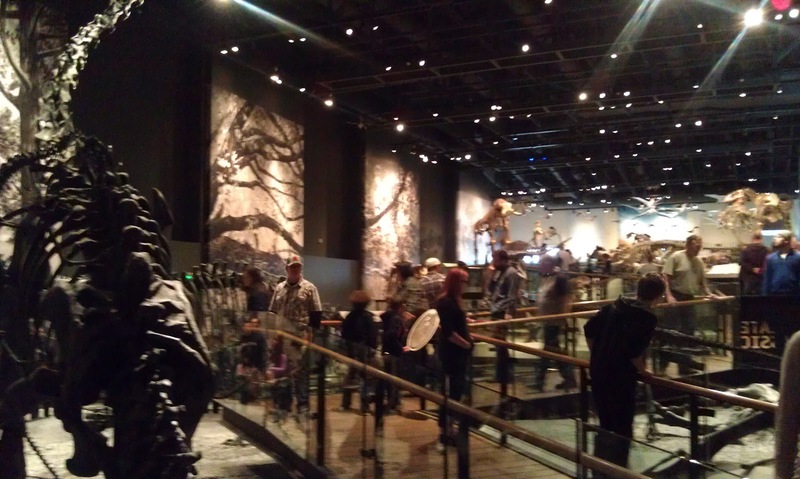 My family and I recently used our Visit Salt Lake Connect Passes to explore the spectacular new Natural History Museum of Utah. What an impressive place! 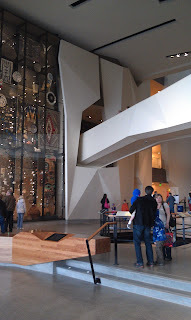 It is such a great museum I think many different people can come away from it moved in different ways. The building is beautiful and captures so much of the structure and beauty of this amazing state. Visitors are greeted at the beginning with an huge hall, built to represent a canyon, with arches reaching from gallery to gallery. In the side of the canyon wall is a glass case stretching up with pieces of each part of the museum collection, an artistic kaleidoscope of the history and nature of Utah. I tried to capture the magnificent dinosaur exhibits but you just can&apos;t fit it all into the camera lens. We aren&apos;t big dinosaur aficionados in our family but you couldn&apos;t help but be impressed. The exhibits taught us all sorts of things about the way dinosaurs are interpreted by modern archeologists trying to figure out what life was like. We were fascinated, but we were only getting started in this huge place. 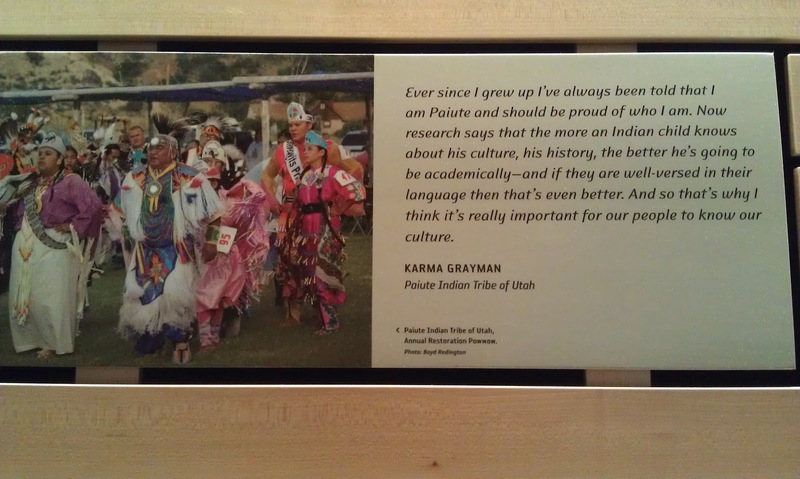 I really enjoyed the Great Salt Lake gallery with interpretive displays on the way the lake is changing and how diverse the landscape and the animals are there. There were exhibits on the ways the lake is used and preserved and hands on exhibits about the water flow through the valley. The Land gallery was fascinating too with interesting exhibits on how areas of the state have changed and about the fault line running through the Wasatch Front. 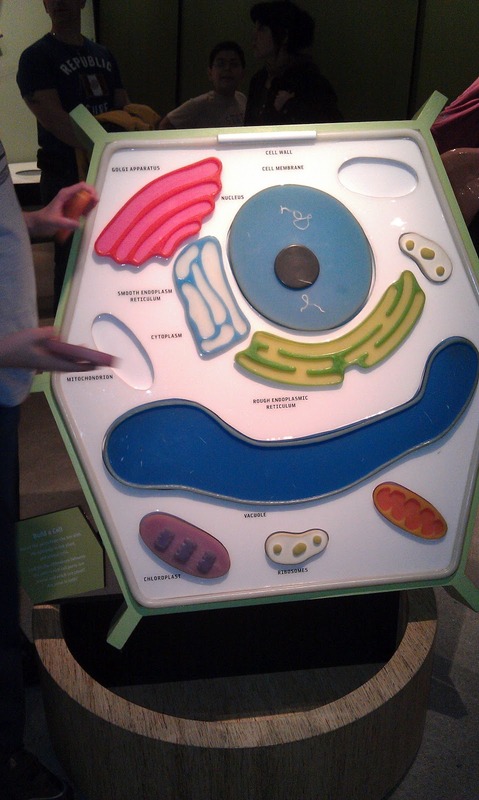 In the Life gallery were some fantastic exhibits about DNA and speciation. The hands on exhibits were fantastic throughout with pottery shards to reassemble and cell structures to put back together. 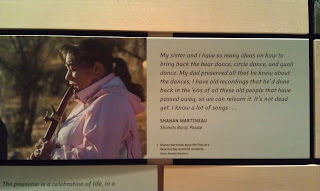 But when we got to the top of the building, I was really moved by the Native Voices exhibit. As I&apos;ve been writing about in my blog, I&apos;ve been working hard lately to instill in my teenage children a sense of their history: a connection with the inspirational stories of their ancestors, and an understanding of the positive and negative traits that have passed through our family. 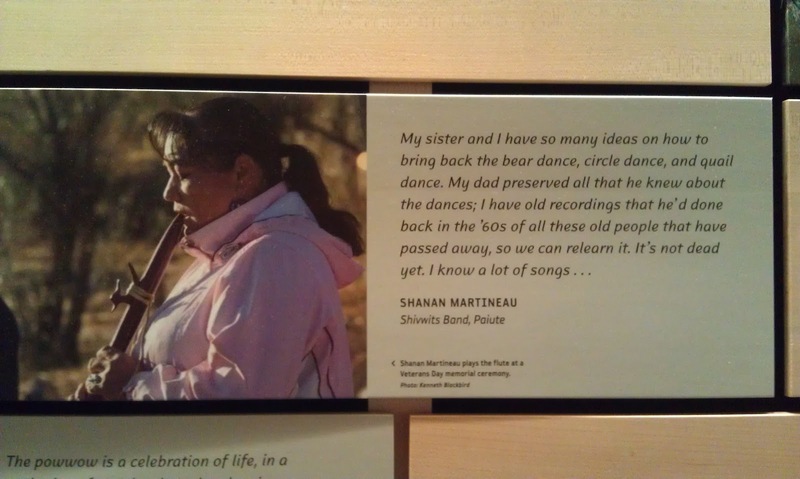 I found in this Native Voices exhibit, the same longings. I have a very different background from those exhibited here, but the quest for grounding was the same. 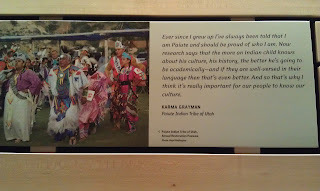 So much of what they&apos;ve said in this exhibit is so close to what I&apos;ve been writing about my heritage. That sense of who you are is so deep, such a hunger. I found a profound similarity between my reaching to preserve for my kids who we are, and what they can have pride in. 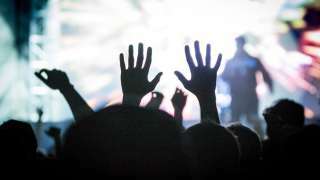 And yet with each passing generation in this melting pot nation, we become more and more diverse. I am Swiss and British, my husband is Czech and Swedish. So while I identify with certain immigrants, my children identify with twice as many. They are becoming more and more removed from our past. "The full blood, now, like us, we&apos;re slowly dying off. And what we have here now is, blonde hair, red hair, blue eyes, gray eyes, those are our young generation. 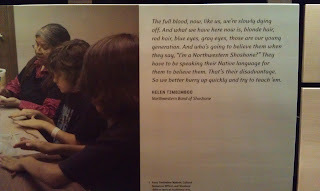 And who&apos;s going to believe them when they say, &apos;I&apos;m a Northwestern Shoshone?&apos; They have to be speaking their Native language for them to believe them. That&apos;s their disadvantage. So we better hurry up quickly and try to teach &apos;em." --Helen Timbimboo, Northwestern Band of Shoshone. It is so important to preserve our history, and to give our children a strong sense of their heritage. I&apos;m so thankful for the people who have preserved my family&apos;s stories. When you have time, go see this exhibit. And then go teach someone in the next generation of your family about your own heritage. It will be a great benefit to them.